Incredible monumental view, strong snap. wonderful picture! very well done!! This is awesome. I love Yosemite and plan on returning soon. What this taken near Glacier Point? This is just a breathtaking photo.. I can imagine when you took it how it felt.. this earth is overwhelming sometimes when you take the time to look at it closely. 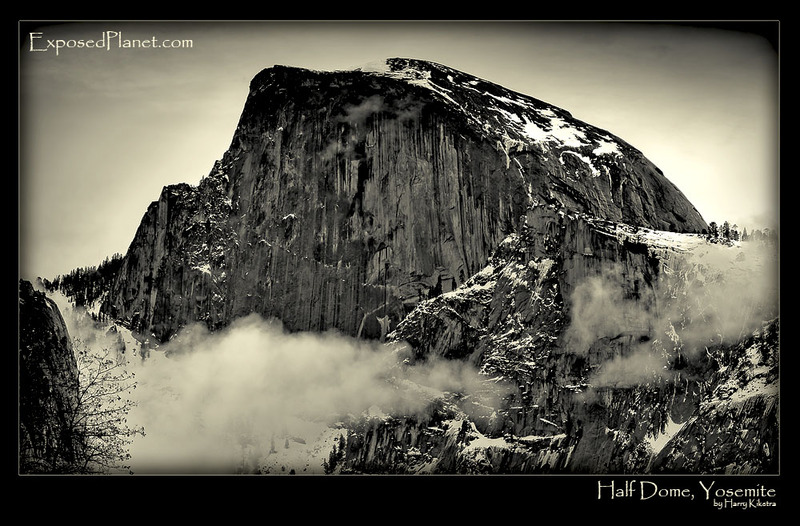 The story behind "Half Dome in Yosemite Valley in winter"
A great place to enter the new year. Half Dome in Yosemite park is a wonderful place, standing proud above the snowy valley. In summer it is relatively easy to hike up, that is: if you use the hiking trail going around and not the extreme routes on the face! The evening before we were pitching our tent in the snow in the famous Camp 4, when a dark shape passed between me and the parking area nearby. A black bear walked, just 30 feet away, ignored us and continued his evening walk.